Don’t let it’s size fool you. The Vortex packs as much punch as a fully loaded desktop gaming PC, sporting the most extreme hardware and cutting-edge technology without the massive weight. Delivering the power you need to handle any task at hand. The unlocked 6th Gen Intel Core i7 processor offers the extreme performance required for CPU intensive programs and jobs. 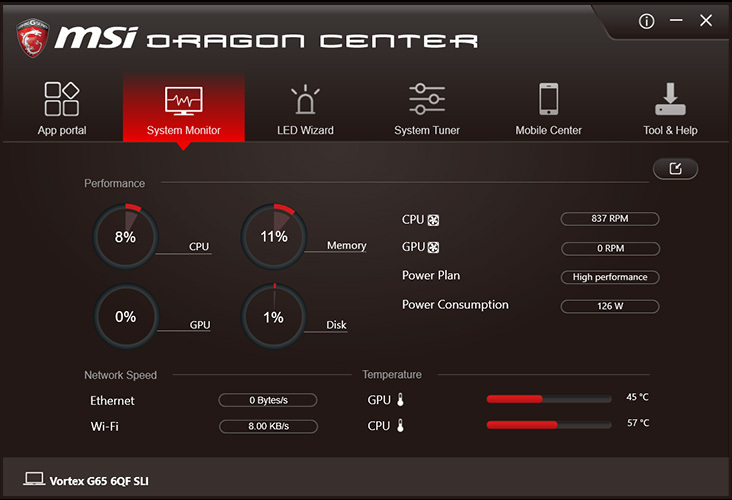 Overlclock the performance for even more power or upgrade the CPU if you’re looking for even more performance. Made to fit nearly anywhere, the Vortex is the perfect system for minimalists with more than enough power to satiate any type of gamer. Forget single display setups, the Vortex has the ability to support up to 6 displays to change your room into a command center. Conquer your enemies, manage your stream, and update your status on social media all at the same time. The Vortex also supports NVIDIA Surround View for a more immersive gaming experience. 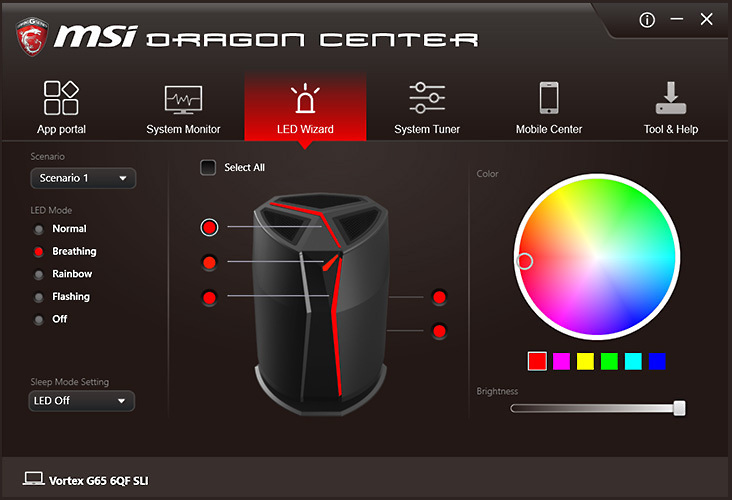 Take control of the Vortex’s Dragon Center from your phone to adjust performance, monitor its current status, or customize the colors at will. Access all your favorite apps with the app portal. Customize it, categorize it, and launch your programs in just one click. Show your true colors with the LED Wizard. Choose from 5 different effects and customize the Vortex with over a billion color combinations. Get a sitrep on the Vortex’s performance and current status. Personalize the Vortex and configure it’s performance to suit your needs. 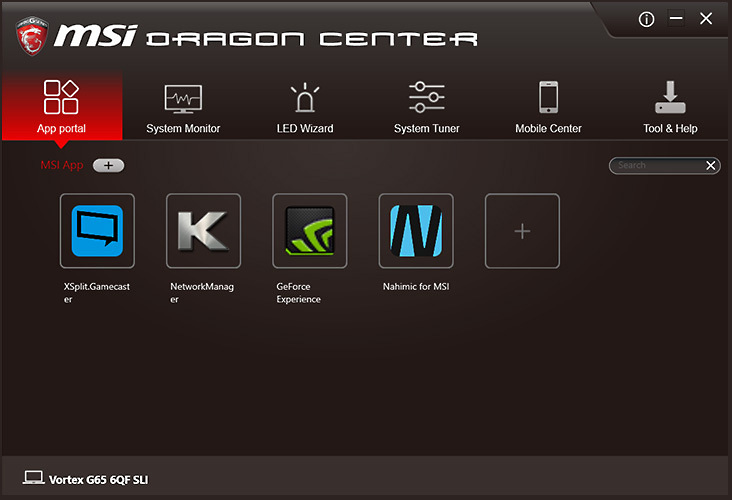 Overclock the CPU in just 1 click and choose from multiple profile settings for specific apps or games. Get all the support you need from Tools & Help. 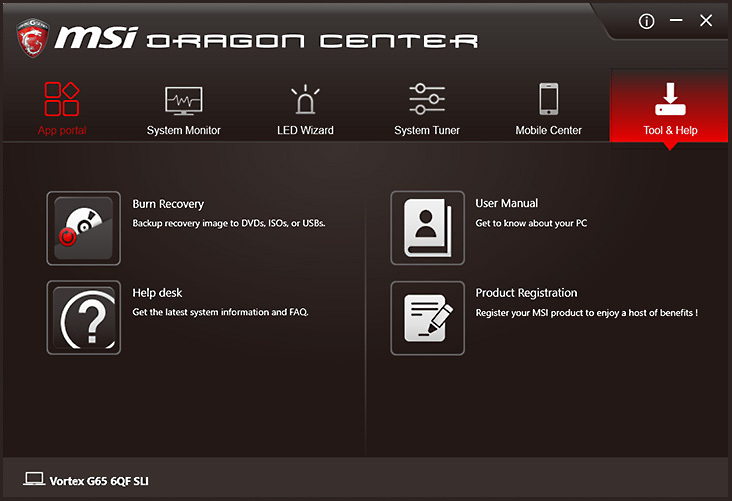 Access the user manual, recovery, and tech support in one convenient location. Just because it’s smaller doesn’t mean we’ve ditched the core characteristic that defines traditional desktop gaming. Upgradeability. Add more storage and memory. Change out the socketed desktop CPU if you need more performance. Even upgrade the dual MXM NVIDIA graphics cards to the next generation if you want top-of-the-line visuals. Save on space and cable clutter with the integrated, super-efficient 80 plus Gold-Certified power supply. Use less energy, generate less heat, and maintain system stability over longer periods of use while still powering the extreme performance of the Vortex. Originally developed for French military fighter pilots, Nahimic’s digital audio technology is now the hands of gamers. Capture every tidbit of ambient sound in the environment, feel every explosion or the crack of gunfire in the distance, and hear every footstep with a 360 surround sound experience for competitive play. Gaming today requires more bandwidth than ever, especially for those who stream and game at the same time. Enter Killer Doubltshot-X3 Pro. Take advantage of your network with dual Killer Ethernet E2400 ports and the Killer Wireless-AC 1535. 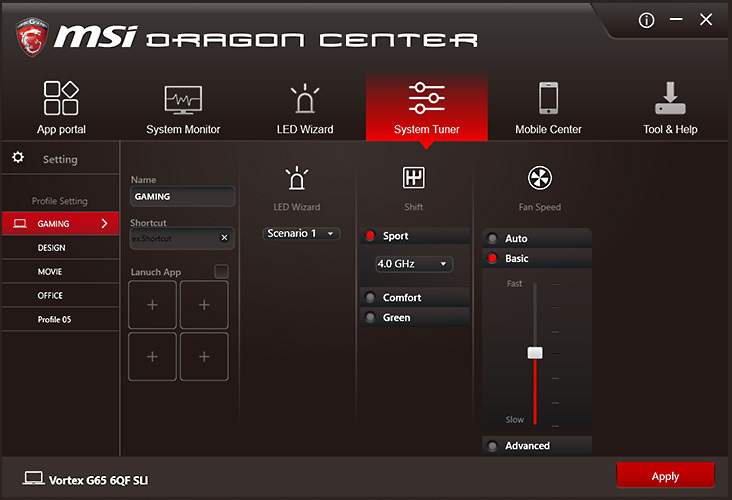 Run all three at the same time for increased network bandwidth, smoother gameplay, and better streaming quality. Killer Wireless-AC 1535 introduces full MU-MIMO support, allowing wireless access points to for multiple transmissions at the same time. This provides faster download and upload speeds, lower latency, and a better connections. Protecting your game’s LAN network from jitter and lag spikes, the Killer Shield K9000 delivers a smoother online gaming experience by reducing latency so you can’t a blame bad game on your network anymore.